Moto Guzzi unveiled an interesting looking concept at last year's EICMA show that was the Italian motorcycle manufacturer's interpretation of a modern ADV motorcycle. 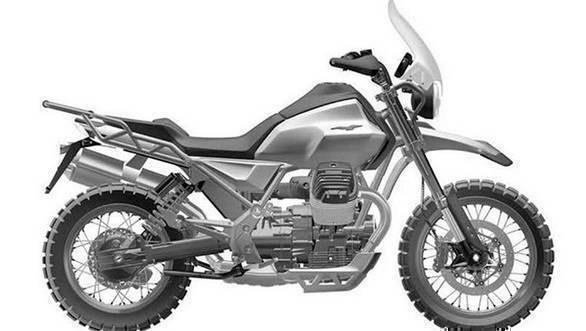 And now there are patent drawings that confirm that Moto Guzzi is not deviating away from the concept and will make the production-spec version resemble the concept closely. While there are no details on the timeline of the Moto Guzzi V85 hitting international showrooms, we expect it to debut early next year. This is not first time that Moto Guzzi is making an ADV motorcycle as the company has already made the 1200cc Stelvio and the Quota in the past. 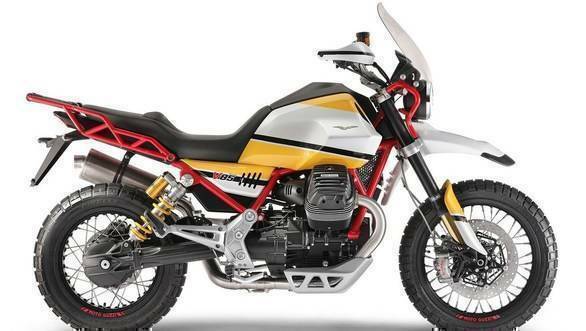 However the V85 looks more like a tribute to the V65 and V75 Baja motorcycles that raced at the Paris-Dakar rally. The patent drawings of the Moto Guzzi V85 reveal the differences in design in the production-spec model. For starters, the end can of the exhaust is longer and also comes with catalytic converter under the transmission. While the concept came with Ohlins fork in the front and an offset monoshock in the rear, the production version will not be offered with the same. Also, the radial mounting of the Brembo front brake caliper's looks different on the production model. The other bits that can be seen from the patent drawings is the restyled and smaller fuel tank along with a resculted seat that looks a bit different compared to the original Dakar-inspired design. The mountings of the twin headlights and also the side panels have been reworked for the production model. 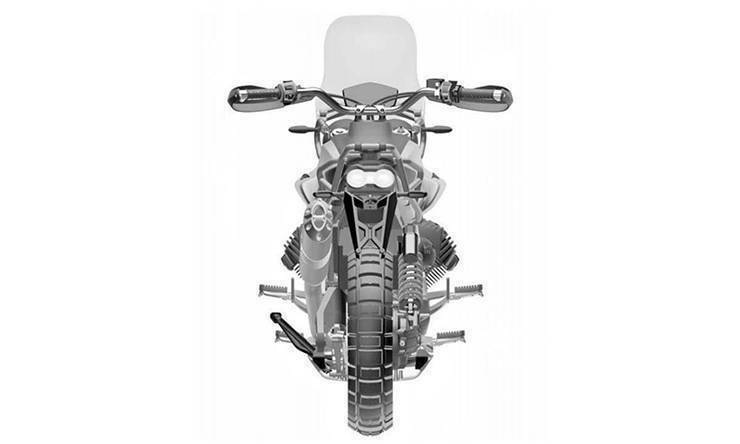 The aspects that have been carried from the concept bike are the TFT instruments, screen and also the frame structure on the rear end of the motorcycle. The Moto Guzzi V85 will be offered with a completely redesigned two-cylinder 90° transverse air-cooled 850cc motor. The motorcycles that the Moto Guzzi V85 will compete with are the Triumph Tiger 800, BMW 850 GS and also the Ducati Multistrada 950.